Lloyd Brown, a 104-year-old World War I veteran takes a moment to pause as he remembers being in the Philadelphia Naval Shipyard with his ship the day WW I ended, at his home in Charlotte Hall, Maryland, on November 9, 2005. Archeologists in the city of Arras in northern France discovered the intact remains of 24 British servicemen who were buried in 1917 during World War I. 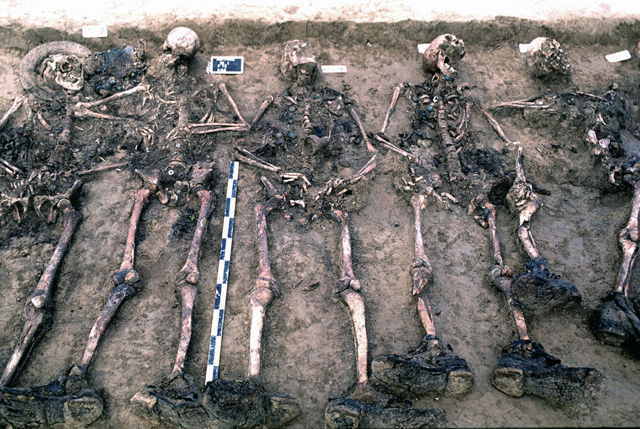 The discovery of the skeletons, which lay side by side with their army boots still intact had evidence they were from the same town. They were unearthed during the excavations for a new BMW plant at the end of May 2001. The Commonwealth War Graves Commission who took possession of the remains, identified 20 of the soldiers who were buried together to be from the 10th Lincoln Battalion. Three others, found in a nearby shell hole, were from the Marine Infantry and one other was found buried alone. 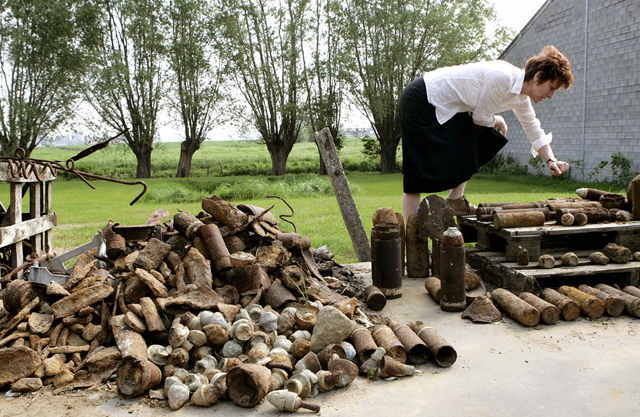 Varlet farm owner Charlotte Cardoen-Descamps points out different types of World War I shells that were found on her farm in just a single season in Poelkapelle, Belgium, on May 4, 2007.
and hears the clarion call. Once upon a time I worked in an electronics plant that made devices for off-road vehicles and equipment. One of these devices was a metal detector, which would be installed in European versions of the Ford-New Holland combination harvesters. The metal detector would, one hoped, detect the metal casing of unexploded shells before they got to the threshing part of the combine. The conveyor would stop, and a warning light would tell the operator of the problem. 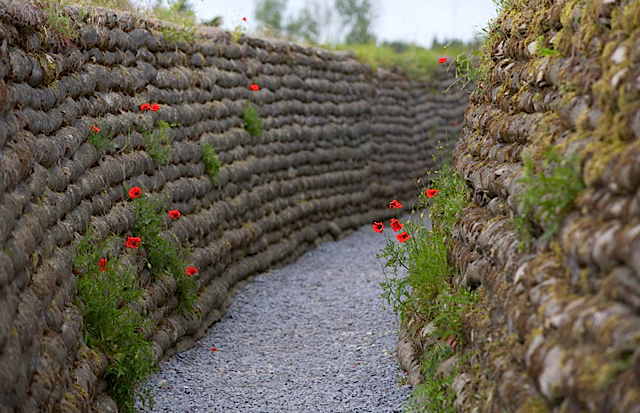 Aside from shells and grenades, the fields of Europe are full of metal scraps of war that frosts heave to the surface. While those are also harmful to the combine, they will not explode. 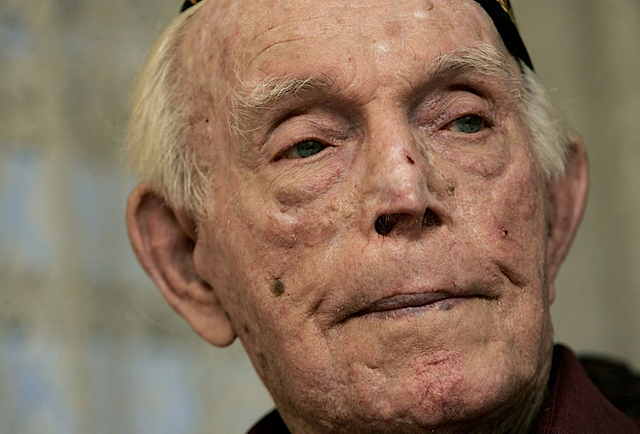 A 104 year old man would have been 4 yro when WWI started, and 8 when it ended. OOOOOps. I didn't read far enough. He was 104 9 years ago, but now he is dead. 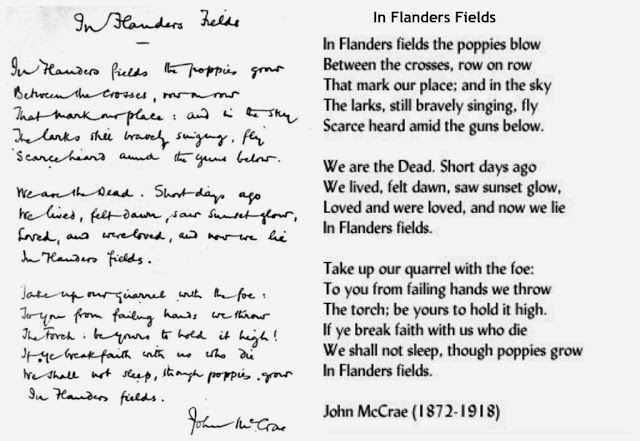 My uncle John served. He never talked about it. Funny thing was his last name was Jagdfeld. 100% German, and he never shied from spelling it out for those that wanted to know. He took me to my 1st pro baseball game. What a fine man he was. Near the end he could no longer recognize my father's sister as his wife of over 40 years. My eyes are leaking. As stated, the Honorable Lloyd Brown was interviewed 11-9-2005, when he was 104 years old, aged in Grace. Thus he was born in 1901 at the age of zero, and was in his late teens during WW 1 when he served on the battleship USS New Hampshire. Your face, your faith, your service are forever strung on the golden thread of honor. Mr. Brown [your rank?, among the highest], I salute you, fingers to my forehead, palms to the sky, offering thanks and blessings to you -- you gave meaning to youth and patriotism.